old Steiner-Dallmeyer General Store - Burton, Texas. proven to be the perfect setting for the Brazos Belle. Belle holds it's own with any fine-dining spot in the state"
"Chowing Down Near Houston - Forks in the Backroads"
country menu worthy of Provence"
curves when he took command of his army of Texians in 1836. So, it is fitting that Houstonians often drive the old La Bahia Road. Independence, Gay Hill and Burton to the county seat of Brenham. the point where it travels through Burton"
week-end and enjoy a meal at the Brazos Belle. Texas town . . .
both authentic to the hilt"
great choice for family meals and celebrations or a simple lunch for two. 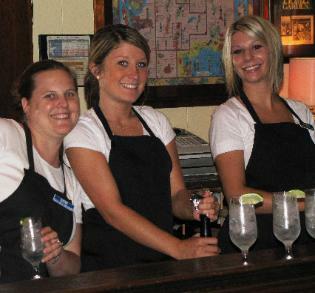 Brazos Belle Wait Staff . . .
Just as friendly and charming as the Belle itself!